By admin Workplace Trends career, CV, Job Hunting, Recruitment, resume, software, Work Comments Off on Are Recruitment Software Packages Excluding good candidates? The emailed rejection came as no surprise to Bill Skibinski, though he believed he was more than qualified for the entry-level job he’d applied for online. After spending two years seeking full-time work, Skibinski is convinced that the computerised screening systems most companies use to hire actually work against job candidates, no matter how qualified they are. “It is a frustrating and unfair process,” said Skibinski, who is working part-time as a contractor while completing a master’s degree in environmental planning. “You don’t hear a thing through the web process, but that’s really the only way you can” apply for a job. 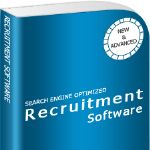 Most large employers in use so-called applicant tracking systems to find qualified candidates. Increasingly, smaller companies are turning to them, too. Software screening is designed to help employers manage overwhelming volumes of applications and eliminate applicants who lack the required skills. But some experts blame these systems for eliminating qualified candidates and for contributing to a shortage of skilled workers — a problem companies say they face even in a market glutted with job seekers. More than a third of US employers in a June CareerBuilder survey said they currently have positions they can’t fill because of a lack of qualified candidates. And that’s hurting business: A third said vacancies lead to overworked employees and a lower quality of work. Peter Cappelli, a professor at the University of Pennsylvania’s Wharton School of business, argues in his book Why Good People Can’t Get Jobs that employers can’t find qualified workers not because of a “skills gap,” but because employers’ hiring requirements are unrealistic, salaries are too low and overly rigid applicant screening keeps most people out. Cappelli says the software often is inflexible and can’t determine “all the different ways that somebody might be qualified” for a job. Instead, he said, candidates are asked a series of yes-or-no questions designed to find someone who’s already doing the precise job the employer is trying to fill. “It explains why employers feel that there’s nobody for them to hire, even though any objective observer would say there are hundreds of people who could do your job,” Cappelli said. For Skibinski, a 36-year-old Army veteran who switched careers in 2006 after being laid off as a field engineer and project manager in the lottery industry, the computerised job-application process is full of stumbling blocks and frustration. He said his status as a veteran hasn’t helped him. In the past couple of years, Skibinski has applied for graduate assistantships, entry-level planning positions, jobs at Wal-Mart, Target and Starbucks — anything to bring in a paycheck. The result? Either no response or a rejection note, even when he met all the minimum requirements. After he applied recently for a planning position at a government agency, an emailed reply said, “You did not meet one or more of the experience requirements and are therefore considered ineligible at this time.” He tracked down an HR representative and talked to her about his background, and she agreed he met the requirements, Skibinski said. Melanie Woodfolk, a 34-year-old who was laid off in April when her position as a marketing manager at a Baltimore publishing company was eliminated, said she’d always been able to find jobs quickly. Now, after months of online job hunting, she’s still looking. “I feel like my resume just goes into an abyss,” she said. “I’ve submitted my resume to jobs that match me perfectly and hear zilch. But for companies trying to sort through an avalanche of applications at a time of record unemployment, tracking systems can be a “godsend,” said Dawn A. Haag-Hatterer, a human resources advisory consultant. She said the systems help companies weed out “the folks who truly don’t belong in the applicant pool”. Companies began shifting from paper to electronic applications in the 1990s to make it easier for people to apply and to save on recruitment costs, Cappelli said. Because it’s so easy to apply online, companies have been inundated with thousands of applicants for every opening, he said. But the systems have their limitations, acknowledged Haag-Hatterer, president and CEO of Consulting Authority LLC. Most large companies have comprehensive screening systems in place. Now smaller companies have begun testing the waters, using recruitment software systems that look for specific keywords in resumes and cover letters. Haag-Hatterer, however, warns that employers that do little more than rely on keywords may hurt their chances of finding the right people. Baltimore-based sports apparel maker Under Armour, which is growing and hiring, said it decided last year to overhaul its applicant tracking system to speed up searches. The company gets, on average, 35,000 applications a month. Troy Barnett, Under Armour’s director of HR process and technology, called the new system “extremely effective,” allowing the company to divide applications by division: retail, corporate, international and distribution, and then assign them to specific recruiters. At Under Armour, about 85 per cent of candidates for a particular position move to the next level of review, where recruiters try to match responses with job descriptions, he said. The company usually interviews about five to 10 people by phone before narrowing the field for in-person interviews. Like the private sector, public agencies also rely on computerized tracking systems. HHS Careers, the US Department of Health and Human Services’ recruiting system, posts federal job vacancies to USAJOBS, the government’s official online job site. “Top talent is quickly identified, speeding up the federal hiring process,” according to the department’s website. But many applicants who regularly use the system complain that applications rarely move on to hiring managers and never lead to interviews. Applicants said the government system offers little chance to highlight their strengths and provides little or no feedback. Elaine Sarao, a Washington resident who has worked in foreign affairs since 1994 and currently serves as a Franklin Fellow in the US State Department, said she has applied for both lower- and upper-level federal jobs at various agencies since 2007.